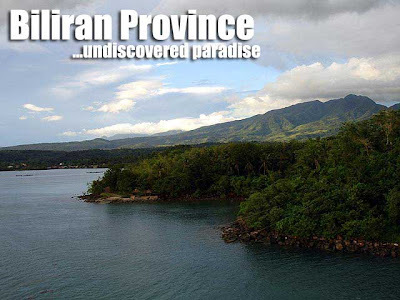 Biliran is an island province at the northern tip of Leyte. And just like Samar, it's connected by a bridge so there's no need for a boat ride. From Tacloban, I took a van to Naval which was about 3 hours away. 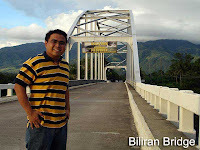 I took some photos at the Biliran Bridge. They don't make infrastructure with character nowadays. If there's one thing I liked about Marcos, he made infrastructure grand such as the San Juanico Bridge, and not like the ugly, kitsch infrastructure our current DPWH churns outs. The next day, I took a habal-habal ride to Tinago Falls. The drivers charge so much here in Biliran, it's so difficult to get to these out-of-the-way places without creating a big hole in your pockets. The local government should enforce standard rates to get to these places to save tourists from the hard-bargain, especially since they are vigorously promoting their many attractions which are most definitely worth the visit. 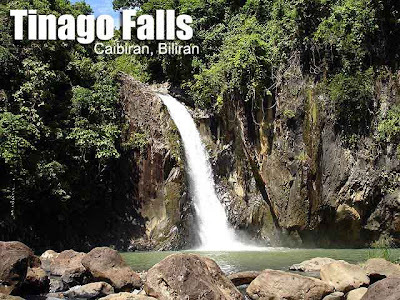 There are more waterfalls such as Casiawan Falls, Casabangan Falls, Bagongbong Falls, etc. and the Mainit Hot Springs in Caibiran. Just like Camiguin, they also have a sandbar in Higatangan Island here in Naval. I'm saving them for my next trip. The weather cooperated with me while I was in Biliran since the sun was out. But when I got back to Tacloban, it was raining again. More photos in Multiply. Hi, Ivan. 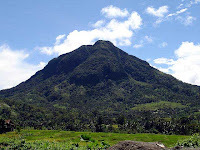 Saw your Biliran photos in Multiply. Those are awesome! Looks like another exciting trip!